CAMBRIDGE, M.A. – At Harvard, incoming freshmen select their favored study, waking, and sleeping schedules before arriving on campus so that roommates can be matched to complement and enhance their lifestyles. As President Drew Faust said during Freshman Convocation for the Class of 2020, learning also takes place outside the classroom during everyday interactions in which students augment each other intellectually while living together harmoniously. “Everyone in this community has the right to be heard, to be listened to, to be treated with dignity and respect,” Faust has said. 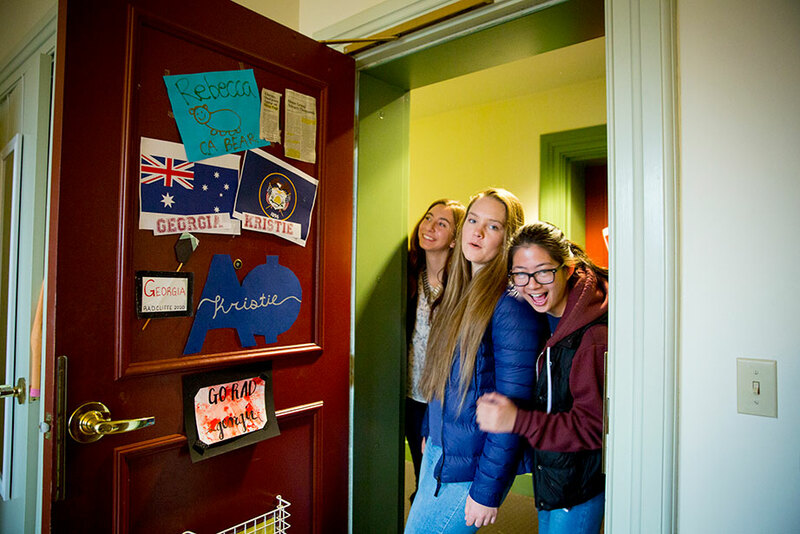 “Our life together, our success as a University, and our aspirations toward Veritas depend upon it.” The diverse interests of roommates enliven the living environment, combining to form a thriving undergraduate community. Echoing the concept of religious pluralism outlined by Diana Eck, faculty dean of Lowell House, student ideas and cultures can be likened to bodies of water that change and shift directions as they move organically to fill rivers and tributaries. Here are portraits of roommates from the Class of 2020.